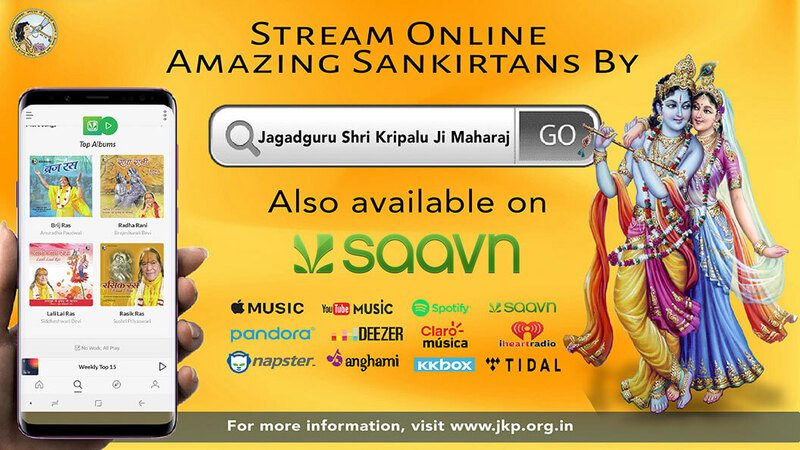 Jagadguru Kripalu Parishat organizes various Sadhana Shivirs throughout the year. 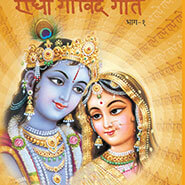 These devotional camps help one to get away from daily life and focus their mind on their spiritual growth. 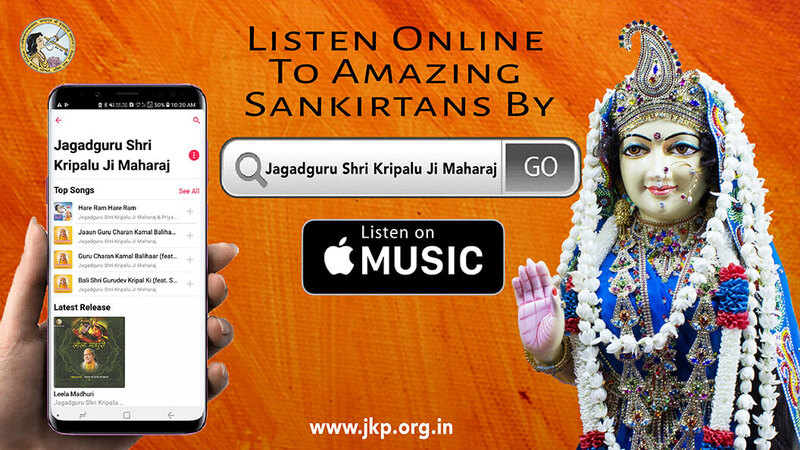 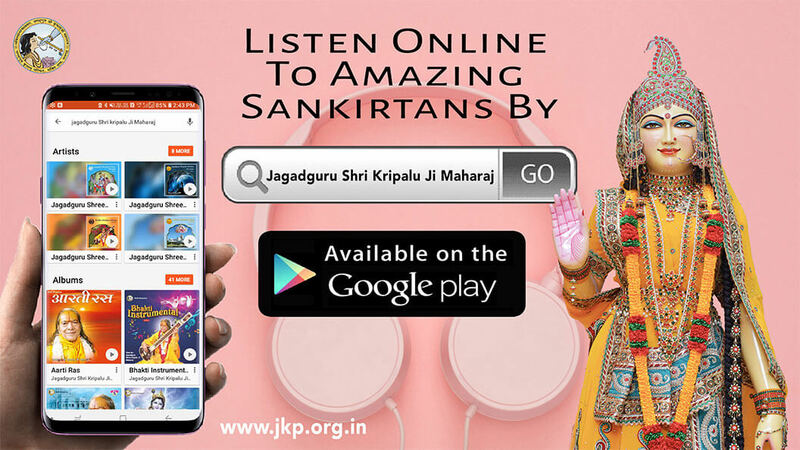 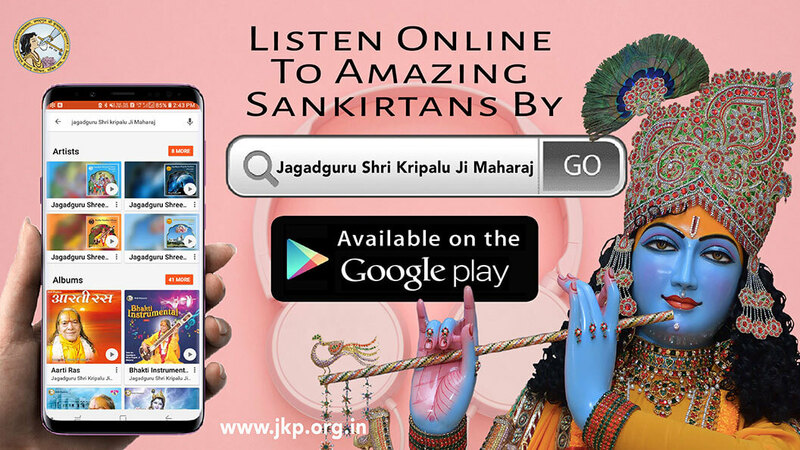 If you are new to JKP, you can first attend a lecture of a Preacher that is near where you live and then communicate with them about how you can attend one of the Sadhana Shivirs. 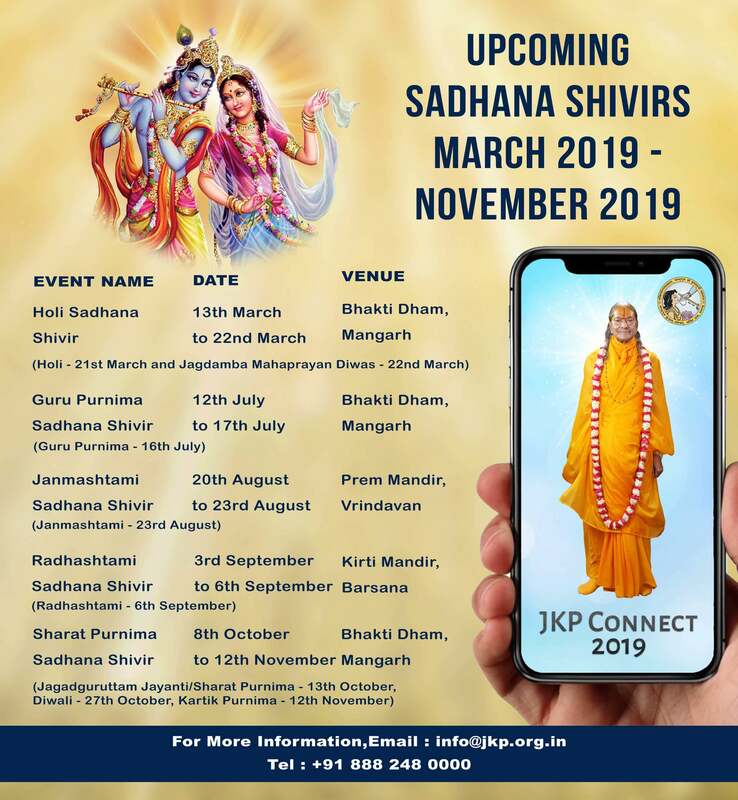 The image below details the next set of Sadhana programmes for the year. 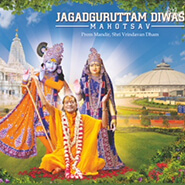 Jagadguru Shri Kripalu Ji Maharaj developed the technique of 'Rupadhyana' based on the Vedic Philosophy. 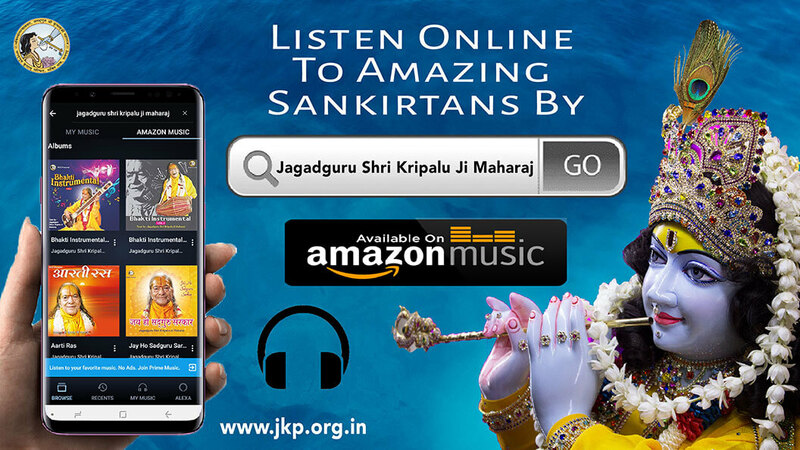 He taught us that in order to practice devotion, one must practice 'Rupadhyana' where the visualization of God is of utmost importance. 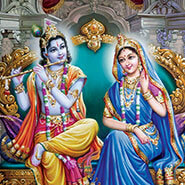 It is a simple form of meditation and is part of the daily practice of all sadhaks. 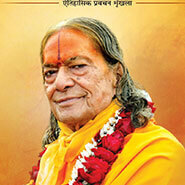 During the sadhana shivir, devotees gather to practice 'Rupadhyana'. 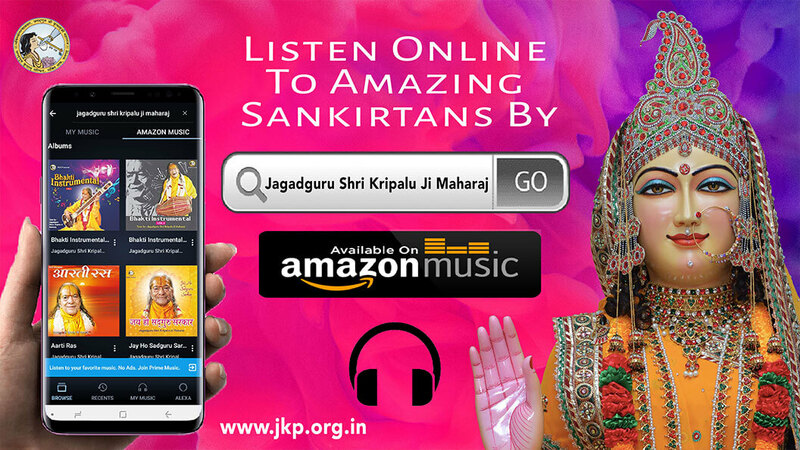 Preachers that have been trained under Jagadguru Shri Kripalu Ji Maharaj hold various programmes around India and the rest of the world. 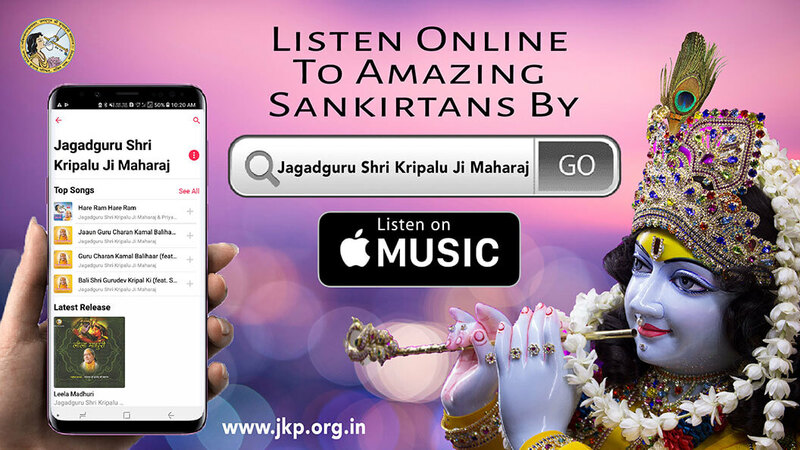 Click the link below to find out how to get in touch with them and attend a lecture or sadhana session near where you live.